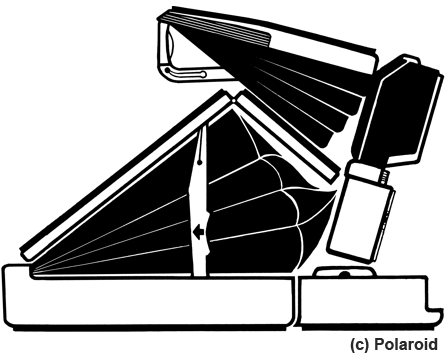 More than a decade ago, and maybe a few times after that, many people thought that Polaroid was dead and that the brand would die in the age of digital photography. But Polaroid always made somewhat of a comeback and is looking even brighter this year. It has been a long way since Edwin Land created the company and the idea was born back in 1943, as his daughter famously asked him why she could not see the photograph he had just taken immediately. He was incredibly visionary and not just developing an innovative film system… he was on the hunt for a completely new tool for life. He thought there was an artistic streak in all people and if they didn’t have to think about the technology you needed in a camera and got rid of that, they could just think about what they wanted to photograph. So every person could take artistic pictures. But the magic of Polaroid went far beyond the amateur. Photographers and artists took Land’s technology to a new dimension. When Edwin Land’s team developed the Polaroid camera in the late 1940s, the foundation for a long-term art liaison was laid: the Polaroid Corporation provided film and camera to artists and in return built the fantastic Polaroid Collection. The greatest portfolio of Polaroid images in the world. He hired the famous photographer Ansel Adams as artistic consultant and many other artists have experimented with it too: Robert Mapplethorpe, Robert Frank, Andy Warhol, Walker Evans, Helmut Newton, André Kertész, Guy Bourdin, are just some of the names that got fascinated with the spell of Polaroid. And the spell and interest on Polaroid is kept alive until now. Even the Photographers’ Gallery in London is showing now ‘Instant Stories. Wim Wenders’ Polaroids’ until February 11, 2018. Over 200 Polaroid images taken by the film director Wim Wenders from the late 60s to the early 80s, most of them shot with a Polaroid SX-70, the classic Instamatic camera that revolutionised the photography world. As well as for Peter von Felbert, artist at Unveiled Art, the Polaroid SX-70 gave him the technique to reach the artistic results he was looking for. 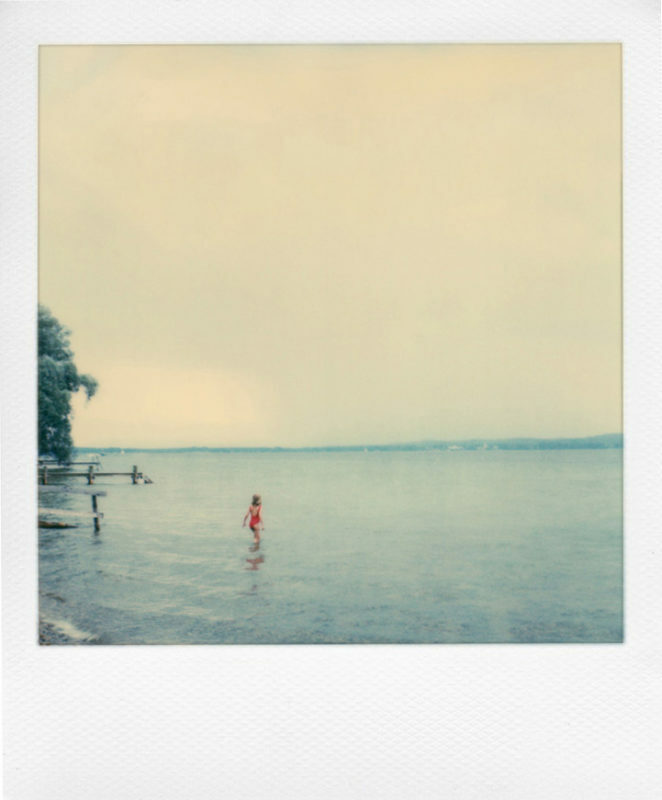 About his series Blaues Land he says: „The square of the SX-70 film format gives the pictures peace, calmness“. Also the Polaroid was a crucial bridge in his technical development as a photographer and to get the atmosphere, the perfect light to transmit the remembrance of the childhood of his girlfriend Karin: „I saw and got to know the blue, through many stories from her childhood, which was so different from my own… and I often had them figuratively in front of me: the soft hilly landscape, where numerous lakes reflect the sunlight as blue against the clouds. I tried to imitate the memory of the memory, because the memory often has little details… I’ve tried to take a very childish perspective, just to see things: the house, the tree, the shed“, says Peter. This year Polaroid is celebrating its 80th anniversary and the company launched a new brand, Polaroid Originals, and a new camera to breathe new life into Polaroid. This new camera, the OneStep 2, is inspired in the OneStep analog instant camera from 1977. And we hope the experimentation, innovation and creativity of what you can do with Polaroid films will last for many years to come, expanding the visual landscape and dialogue of photography. As a medium that defies the digital age and remains a favourite among artists for its possibilities and instantly gratifying images. A magic that may also rely in their uniqueness, a one-of-a-kind painting produced by light, which might be why artists are so drawn to it and it also seduces the new generations… and that’s fascinating. 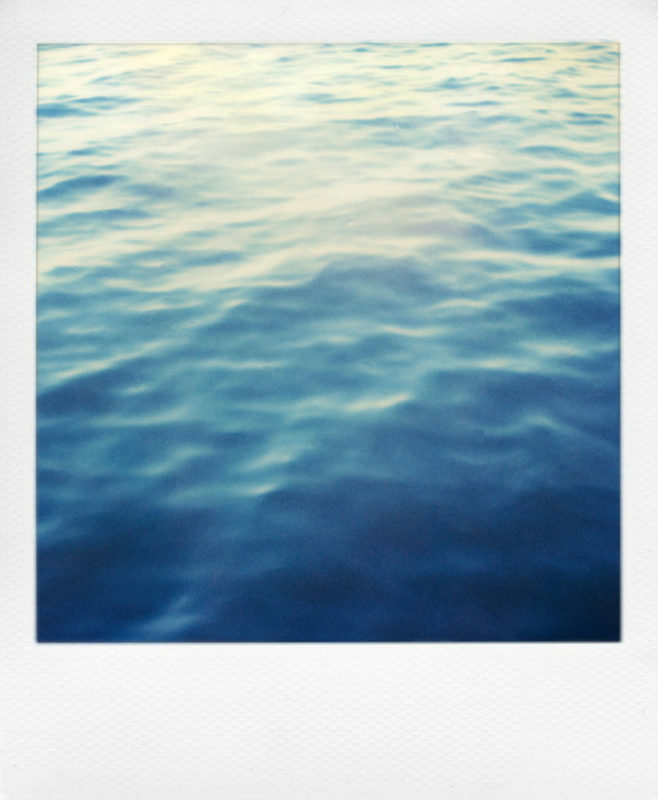 This entry was posted in Photography, Polaroid and tagged All, Photography, Polaroid.